FACT CHECK: Was Fake Snow Made From Asbestos Marketed As Christmas Decor? Was Fake Snow Made From Asbestos Marketed As Christmas Decor? Asbestos was widely used for a variety of purposes before it was recognized as a significant carcinogen. A photograph shows vintage box of fake snow decor made of the carcinogen asbestos. 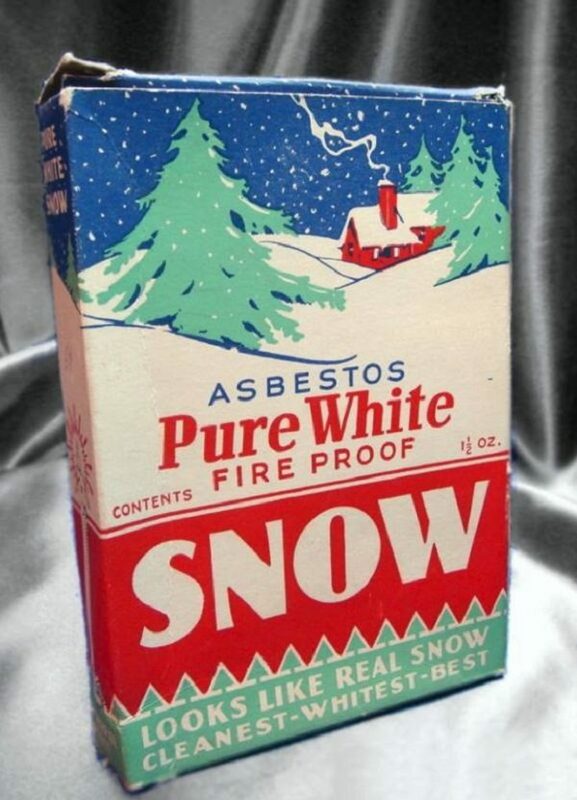 Asbestos was once marketed as artificial snow and sprinkled on trees and wreaths and ornaments. Although those products have not been produced for many years, the oldest decorations that were passed down from one generation to the next, may still have small amounts of asbestos. The most famous asbestos snow scene was used during the filming of “The Wizard of Oz,” the 1939 classic with Judy Garland that became the most watched film in history. There is a scene in the movie where snow, made from asbestos, falls on Dorothy and her friends, awakening them from a spell cast by the Wicked Witch of the West. The image above depicts a real item sold to consumers in the mid-20th Century. The picture was taken by Tony Rich, an industrial hygienist and amateur photographer who catalogs asbestos images on the photo-sharing platform Flickr using the moniker Asbestos Hunter. Rich, an anti-asbestos activist, originally shot the image in 2009. This brand actually contains amphibole asbestos “amosite”, very toxic. Generally speaking, asbestos was used by the tens of millions of tons for nearly over a century and a half in modern history for a wide variety of applications, mostly due to its fire resistance, insulating properties, durability/strength, inertness, could be woven, and was cheap and abundant. Major asbestos manufacturers had large [research and development] programs constantly finding new ways to use asbestos. I believe the most tragic use was in cigarette filters. The United States has a very long history of asbestos usage, a tragic history that continues to be written to this day, to the ultimate detriment of its citizens…our loved ones, neighbors, and future generations. During that time, tens of millions of tons of asbestos materials were put into our nation’s buildings and infrastructure, most of which remains in place today. Eventually, laws and regulations were created in an attempt to help protect employees and the public from the toxic legacy left by asbestos. 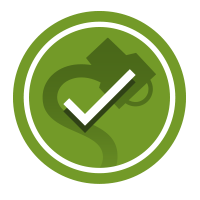 However, despite the volumes of asbestos standards, many still face ongoing problems related to regulatory under-enforcement, poor risk management or by simply failing to identify basic asbestos hazards. Compounding these issues, asbestos continues to be imported into our country, primarily due to the alarming fact that asbestos has not yet been completely banned. Further, asbestos has been repeatedly found in a wide variety of new consumer products as reported by recent independent studies. Some of these asbestos-containing products include children’s toys and crayons, readily available from retail marketplace’s shelves. Atlas Obscura. 1 August 2016.